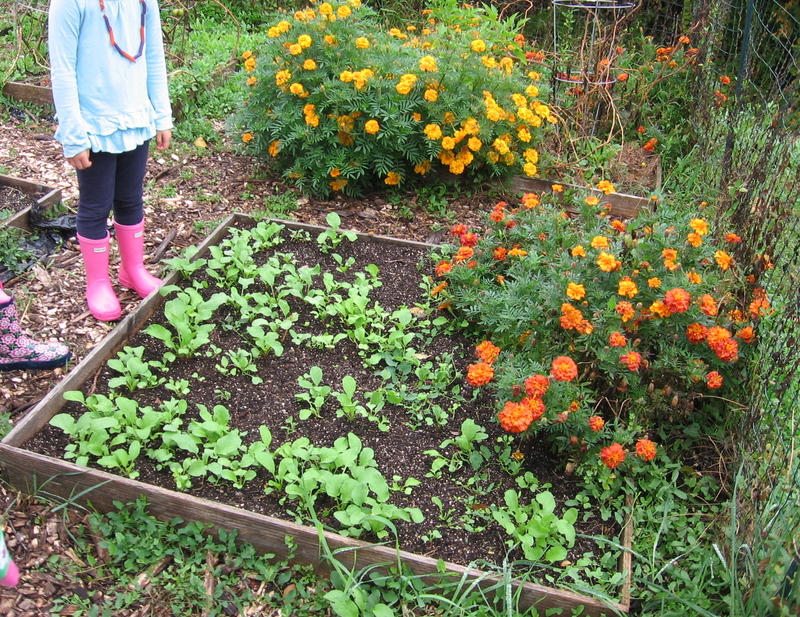 Managing School Vegetable Gardens: Who Gardens? 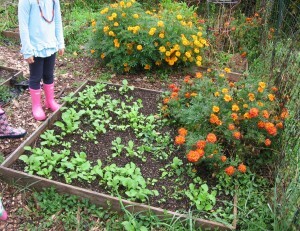 School vegetable gardens provide spectacular opportunity for children to explore nature. Nothing is more engaging than a worm crawling through the soil or a praying mantis clinging to a bean plant. Real time explorations reinforce where our food comes from, as well as classroom knowledge on soil, plants, animals, weather and seasons. The educational benefits are hands-on and myriad. But there’s a balance that has to be established with a school garden. One teacher and a rotation of classes aren’t enough to maintain a successful vegetable garden. How much of the work is completed by the teacher and the students, and how much of the work is completed by other adults? 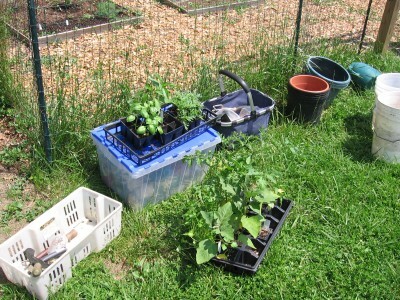 Typically the teacher provides all the resources for the lesson, but with a garden, this model doesn’t work. There are two schools where I’m supporting sustainable vegetable gardens. The preschool garden at House at Pooh Corner is small enough that an extra hour of work once a week within the context of my morning at the school is sufficient to manage the growing area. Teachers take charge of extra watering and harvesting during the week, and occasionally another adult stakes the tomatoes and sunflowers, or puts a new fence around the garden. At The Montessori School, the eight 4 x 4 square gardens, along with two 8 x 3 toddler gardens, are more than one teacher with rotating classes can manage. For the last couple of years, we have been experimenting with what works. I do most of the gardening with the students during the year. Additional adults help with summer gardening and with heavier work, such as building the fence or replacing the wood of the garden plots. As the garden thrives and is used more directly within the classroom curricula, we concurrently need to strengthen adult help. There’s opportunity for school families to participate, benefiting the families as the school garden is supported. When families get involved, community connections are increased, parent and child experiences are nurtured, parent gardening skills are strengthened, community knowledge of growing local food increases, and the garden is available for classroom use. Two enriching opportunities for families are an after school garden club, and summer family gardening. This fall parents and students gardened together. We had fun together, and with this weekly extra hour of help, gardening needs were met. We harvested herbs, tomatoes, radishes, lettuce, and we sifted school compost for nutritional use in the garden. Children were thrilled finding sow bugs, meal worms, grubs and spiders. As we continue to experiment with families gardening this coming spring, I hope this will lead to parents seeing the enjoyment and benefit of taking a week to water, weed and harvest in the summer. School communities embracing a school sustainable vegetable garden is a win/win/win/win opportunity: children are exploring outside; parents are nurturing their connection with their child and their community while also being outside in a garden; during the summer, families get to take home produce they helped grow and the garden is supported, ready for fall harvest by the children in the new school year.